Simple and sophisticated, the 2018 Mazda3 sedan gives you everything you need in a compact 4-door and some things you didn’t know you wanted! Beneath the Mazda3’s standout sporty design is class-leading comfort, convenience and safety technology. The standard SKYACTIV®-G 2.0L engine delivers performance and efficiency. 155 horsepower are put out with an EPA-estimated 37 highway miles per gallon*. 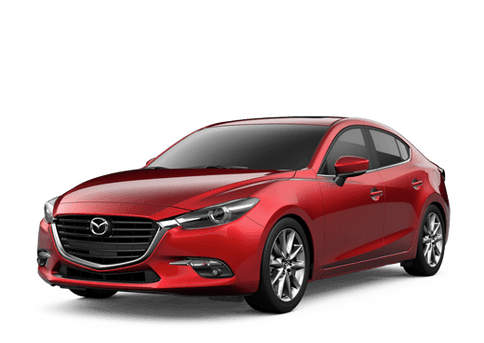 New for 2018, the Mazda3 sedan brings upgraded standard equipment across trim levels. The 2018 Mazda3 Sport (base model) receives an urban-engineered, low-speed frontal collision avoidance system with emergency braking. 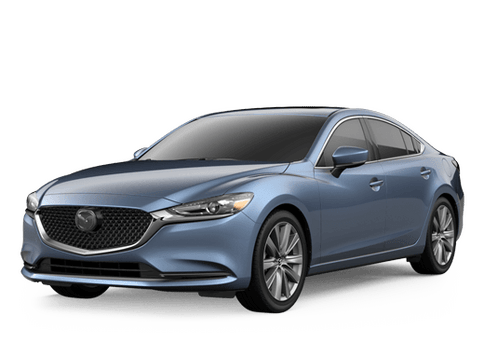 The Touring model receives an upgraded 2.5L SKYACTIV®-G engine that delivers 184-horsepower without sacrificing more than a single highway mpg*. 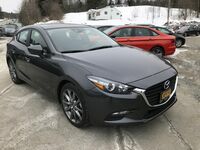 Shop our entire 2018 Mazda3 inventory! The 2018 Mazda3 provides enhancements to an already delightful compact ride. Outclassing segment competitors with power, the 2018 Mazda3 strives to have drivers rethink what needs to be sacrificed in a “compact car”. The impressive success of this goal is obvious in the inclusion of standard safety features typically found on more expensive, upper-class models. The base Sport model gives you clear-lens headlights, daytime running lights, and body-colored dual folding power side mirrors. Safety features on board the Sport model include Advanced front airbags, front side impact airbags and side-impact curtain airbags. A standard tire pressure monitoring system keeps all four wheels on the road and in a safe driving conditions. Technology and convenience amenities are plenty on the 2018 Mazda3. The Sport model receives the MAZDA CONNECT™ infotainment system that features a multifunction commander control wheel, voice command recognition, radio broadcast data system program information, AHA™ internet radio integration, HD Radio™, Pandora®, Stitcher® and more – all controlled from a stylish 7” touchscreen that floats atop the dashboard. The Touring model maintains the industry-leading feature set present on the 2018 Mazda3 Sport, adding 18-inch aluminum alloy wheels with a stunning dark silver finish. 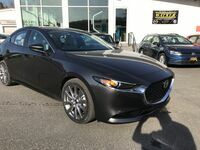 Advanced Blind Spot Monitoring System, with Rear Cross Traffic Alert, rearview Camera, Mazda Advanced Keyless Entry, dual-zone automatic climate control system, variable heated front seats, leather-wrapped steering wheel and shift knob, and more! Finally, the Grand Touring provides drivers with everything, including a black metallic finish front grille, roof-mounted “shark fin” antenna, Bose® 9 speaker surround sound system with Centerpoint®2 and AudioPilot®2, full-color active driving display and a power-sliding glass moonroof with one-touch-open feature and interior sunshade. From the minimalist Sport trim, up to the luxurious Grand Touring trim, the 2018 Mazda3 sedan provides drivers with top-of-the-line features in a sporty and fun package. Contact us today to schedule a test-drive! Click here to get more info on the 2018 Mazda3 sedan!